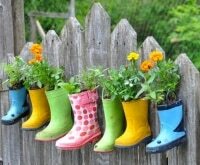 In honor of Earth Day, take your recycling to the next level by turning items destined for the trashbin into works of art. 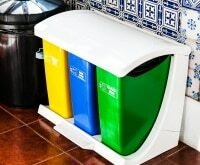 With a little imagination, what seems like garbage can actually be transformed into anything from home decor to wearable accessories, often in a matter of minutes. 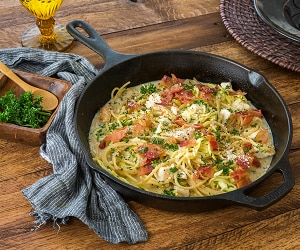 You’ll be saving money, sprucing up your Spring decor and wardrobe, and taking care of Mother Earth all at the same time. 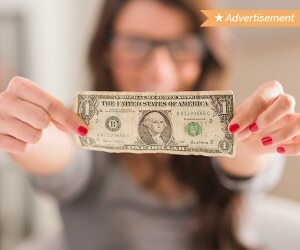 Most projects require only basic crafting supplies, which can be purchased using these great deals from Michaels. 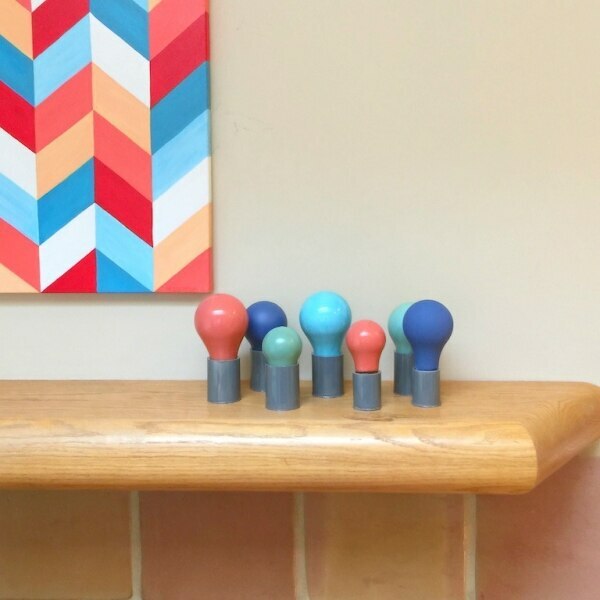 Get the step-by-step instructions for this simple and colorful home decor project. 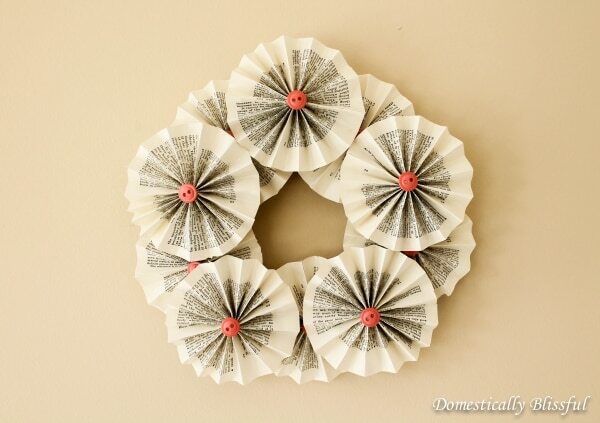 Don’t throw away gift wrap, unwanted mail, and other scraps of paper. 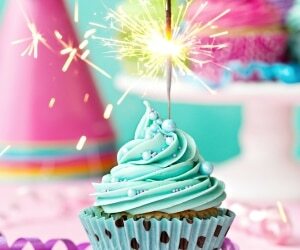 Instead, turn it into beautiful celebratory confetti with a combination of hole punching and cutting. 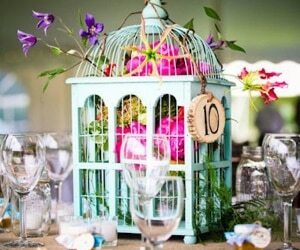 Mix up colors, shapes, and sizes for unique and beautiful party decor. 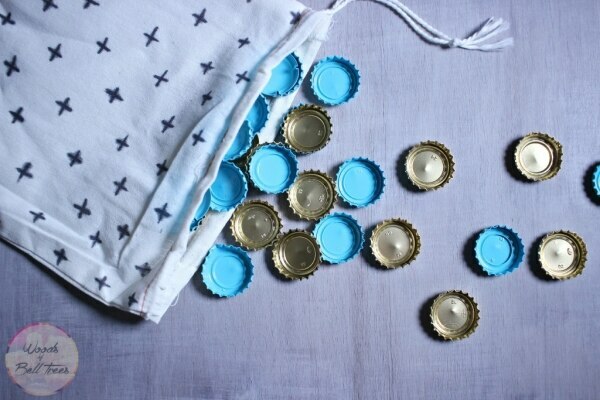 Don’t feel bad about enjoying another round of beers- you can turn those caps into something useful and fun. 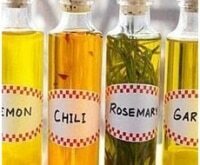 Just add a coating of paint in two different colors, and you’ve got homemade checkers. 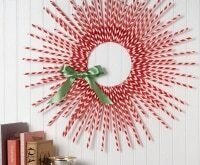 You can make this beautiful decoration with a cereal box and duct tape. 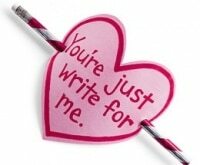 The lightweight cardboard is easy to cut into a heart shape. Add a boarder with duct tape, and cut small holes to stick LED string lights through. Turn those leftover corks into pretty and useful bits of home decor. 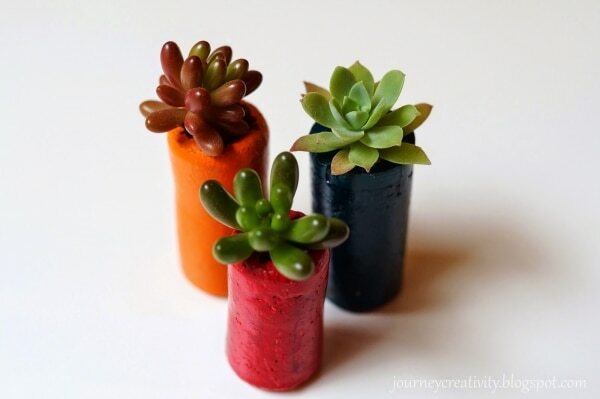 Simply hollow out corks, paint the outsides, and insert small succulents. 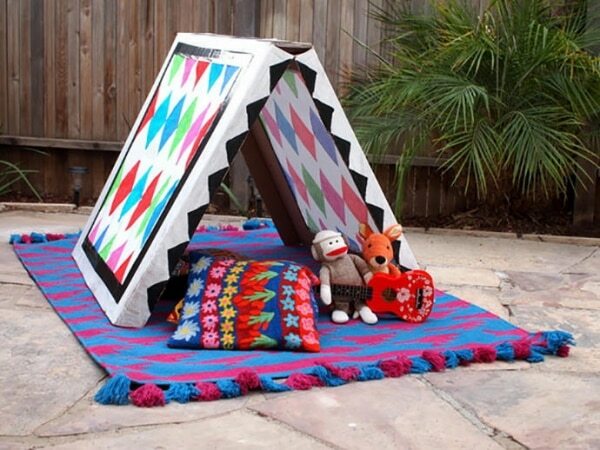 Turn a TV moving box into a whimsical children’s tent, and showcase their art skills while doing so. Have kids paint craft paper, then use it to cover the sides of the box. 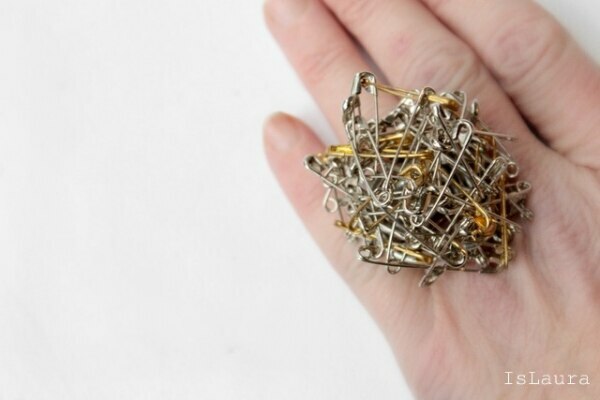 Got a bunch of safety pins lying around? 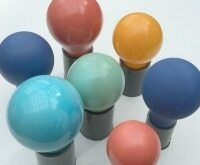 Use them to make a serious statement ring. 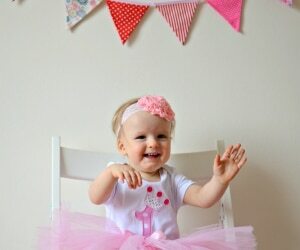 Start by creating a coiled ring base, then secure on bunches of safety pins. 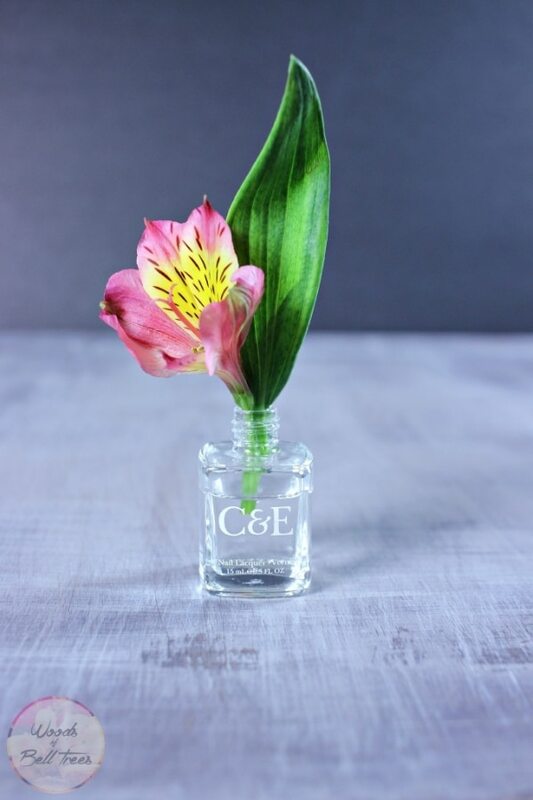 Mason jars get all the glory, but tiny nail polish bottles can also be easily upcycled for a new purpose. 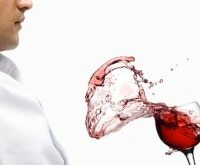 Just wash them out and use them as bud vases to celebrate the arrival of Spring. 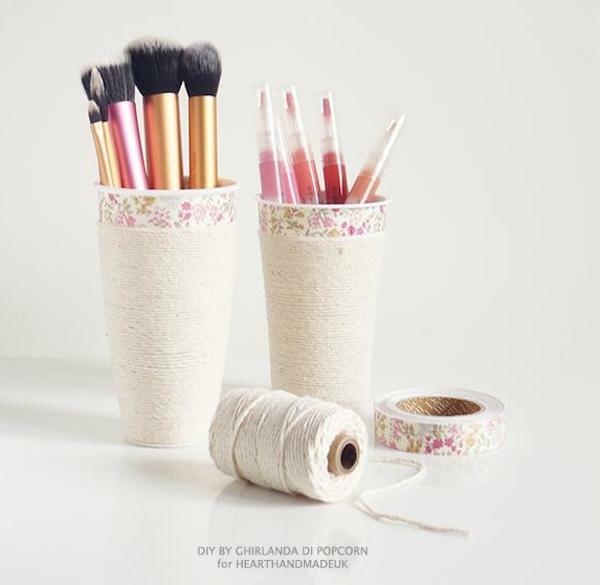 Turn plastic or paper coffee cups into beautiful containers for makeup or desk accessories. 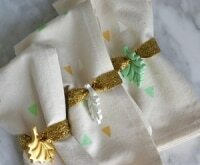 Simply cover them with whimsical floral fabric tape and wrap them in cotton twine. 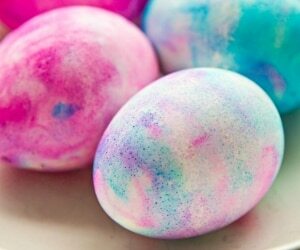 These colorful baubles are made from plastic lids, and are an easy and creative craft to do with kids. 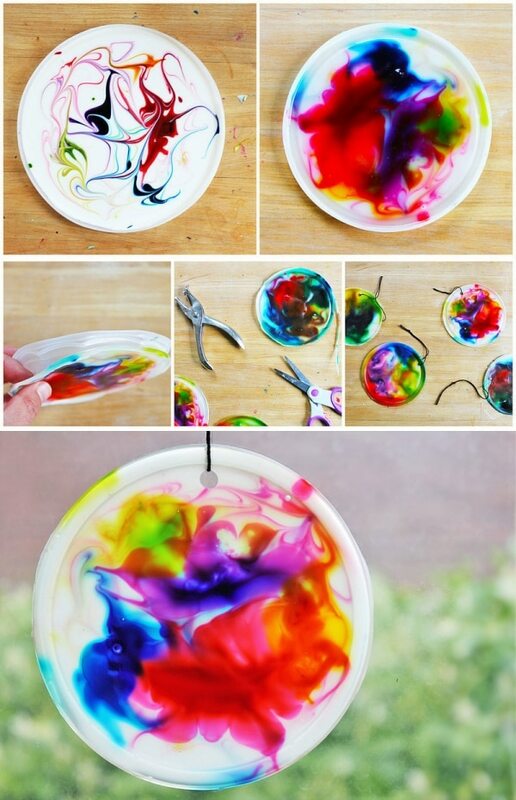 To get the swirly colors, decorate the lids using glue mixed with food coloring, and hang them using a string. This little trinket is perfect for keeping in your purse in case of emergency kiddo situations. Fill an altoid box with Lego characters and attach a lego base to the top. 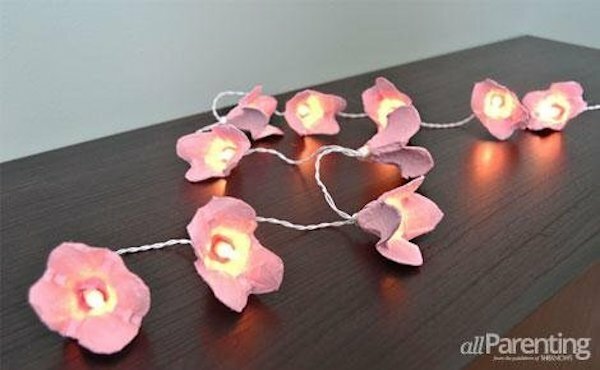 Prettify plain string lights with painted pieces of egg carton. The resulting floral luminaries will add a touch of whimsy to your patio or outdoor soiree. 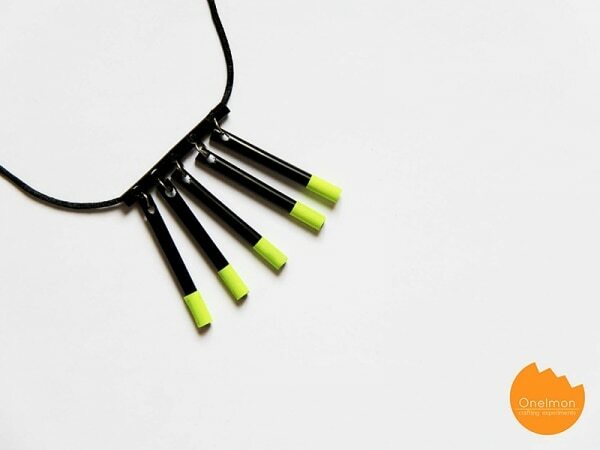 This edgy modern neckwear is made out of plastic straws decorated with bright tape. Even a novice jewelry maker can create this with jump rings and basic supplies. 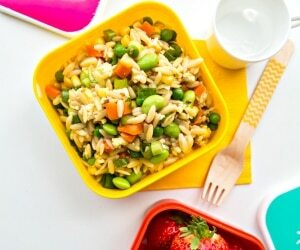 Do you have leftover cutlery from a party or picnic? 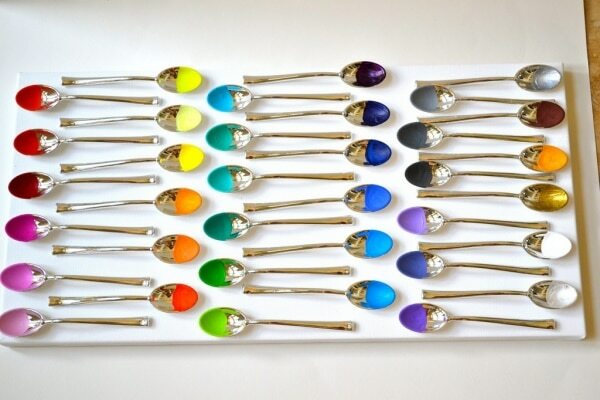 Make a fabulous piece of modern art using plastic spoons (these ones have a metallic look) dipped in paint and mounted to a board. 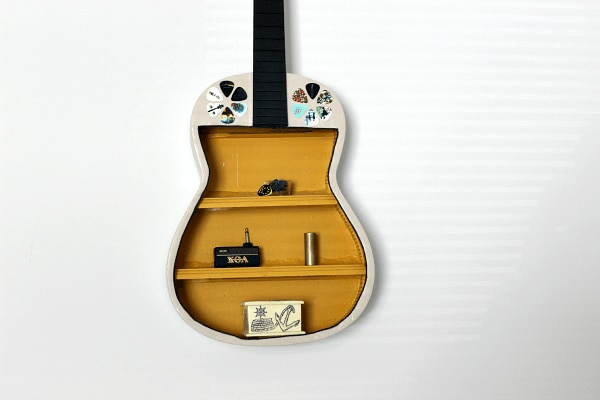 Don’t throw away that busted guitar. Hollow it out and turn it into a beautiful shelf that’s also a work of art. This super easy DIY will make you feel less guilty for finishing that bag of M&Ms. 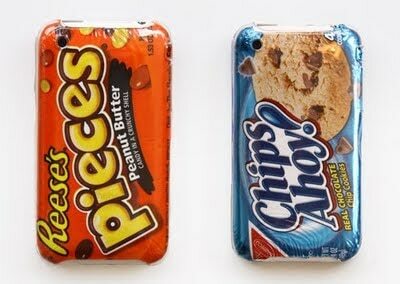 Turn candy remnants into iphone decor simply by sticking the packaging behind a clear plastic case. 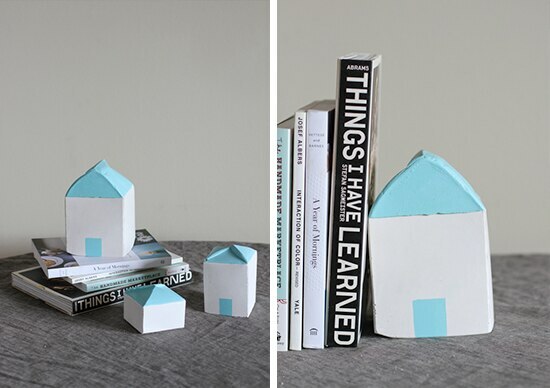 These whimsical painted houses are made from plastic-covered milk cartons. 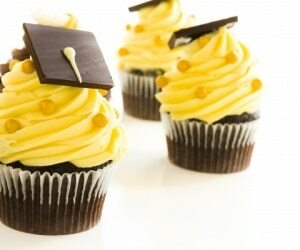 Since they’re covered in plaster, they’re heavy enough to use as paperweights or bookends. Because really, who uses a stand alone keyboard anymore? 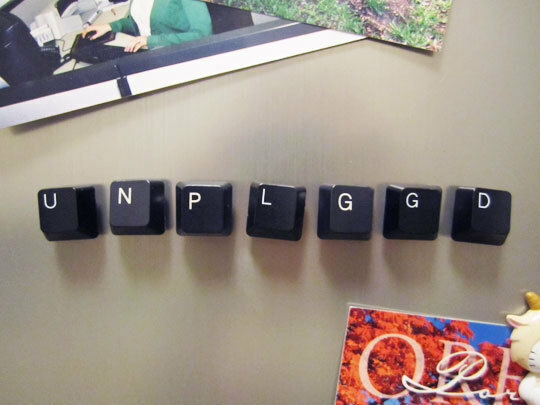 Adhere magnets to the back of keys to make lots of little stickies for your fridge. Raid your recycling bin to make this wacky lamp. 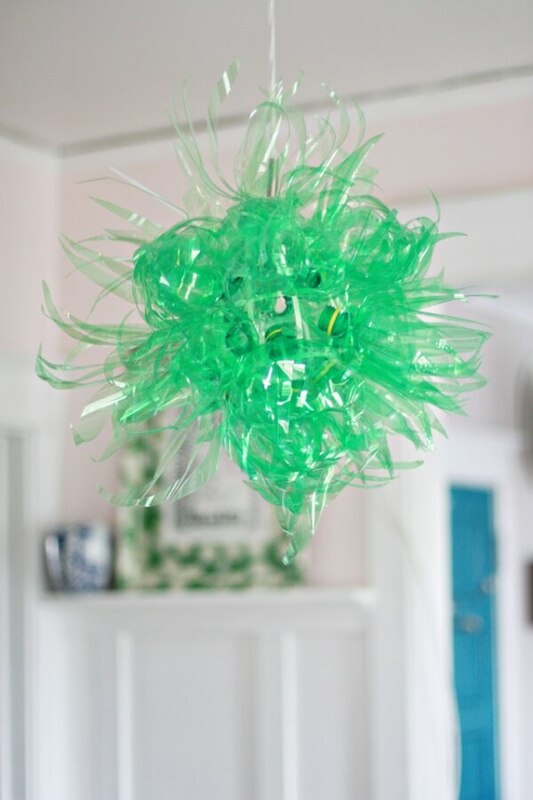 It’s made from ten plastic bottles cut up and adhered to a light bulb cage with zip ties. 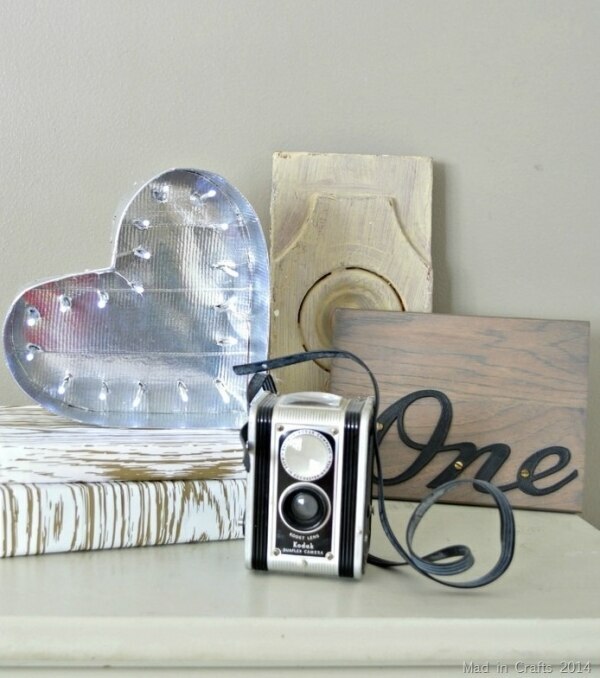 Add a touch of whimsy to your surroundings in a few simple steps. This charming ceiling lamp is actually a plastic bottle spray painted and covered with lace. 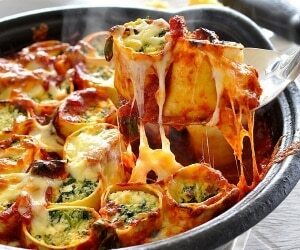 This is an ideal stash-busting project for those with piles of fabric or lots of old clothing lying around. 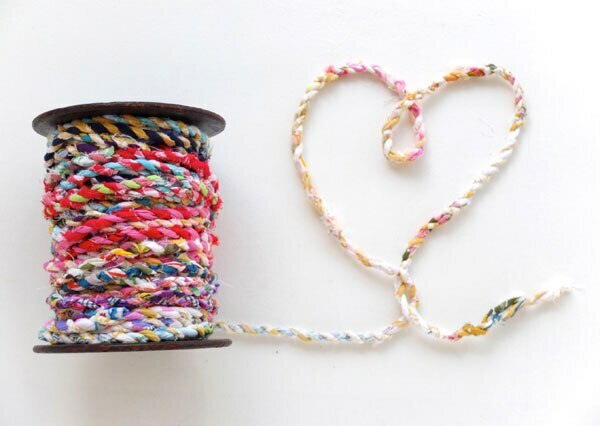 You can turn it into colorful twine by twisting strips together, then use it for wrapping packages or other crafts. 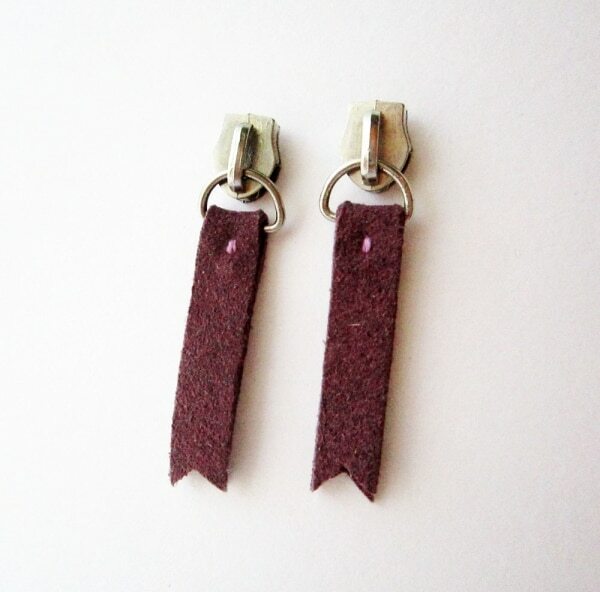 Broken zippers are super frustrating, but they can be given a second life as one-of-a-kind earrings. 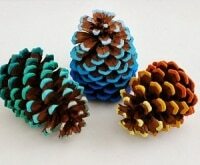 Just glue them to earring backs and decorate with two pieces of leather or suede. If you’ve been keeping up with the news, you have all you need for a new addition to your home decor. 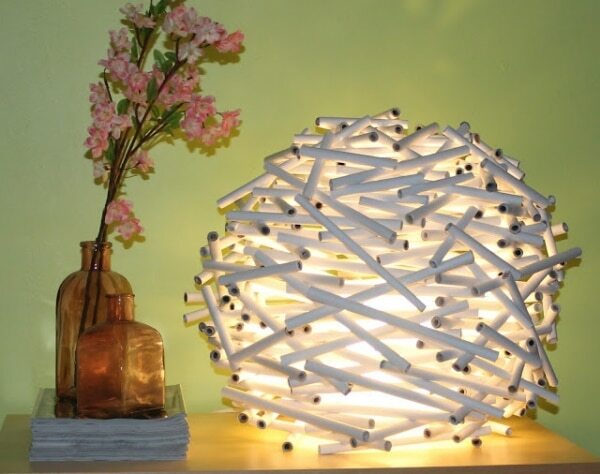 This awesome and eye-catching lamp is made from of rolled up pieces of newspaper arranged around a covered bulb. Baby food jars are the perfect size for adorable little luminaries. 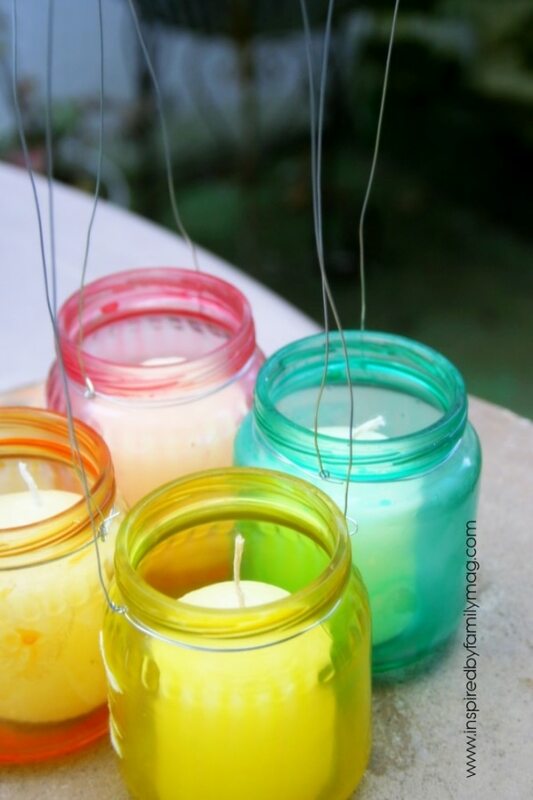 Dye them first by mixing glue and watercolor inside each jar, turning them upside down, and allowing the color to drip down the sides. 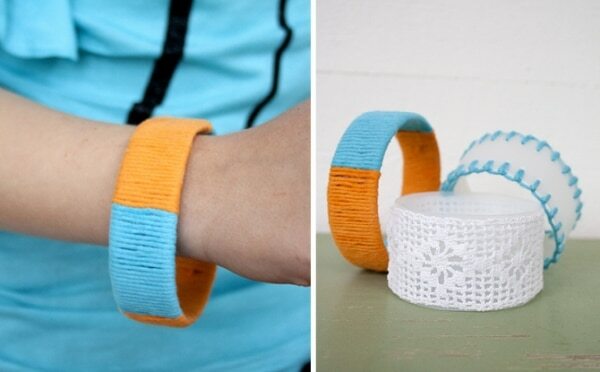 Add some chicness to your spring wardrobe with these plastic bottle bracelets. 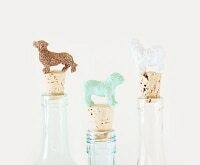 To make, simply cut out circles from the bottles and wrap them with yarn, embroider, or cover with lace. A quick coat of metallic spray paint turns berry baskets into desk decor. 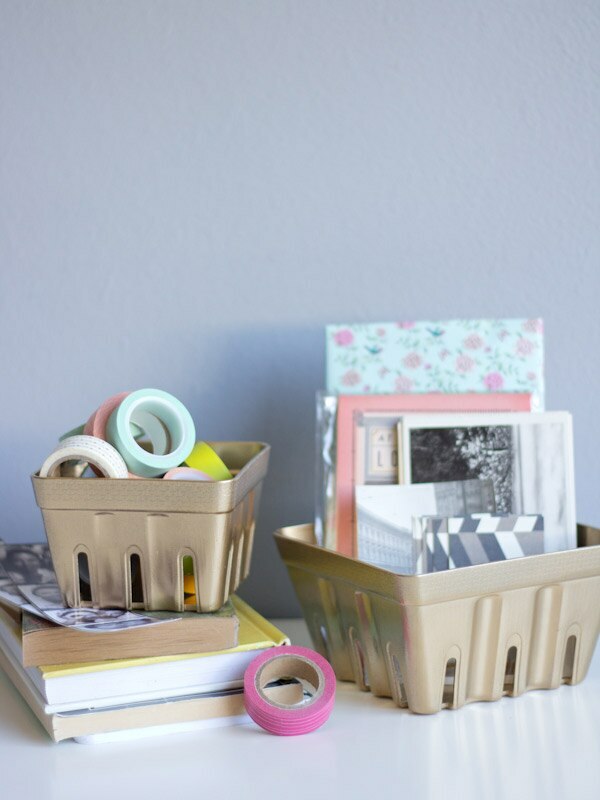 Perfect for stashing your office essentials. 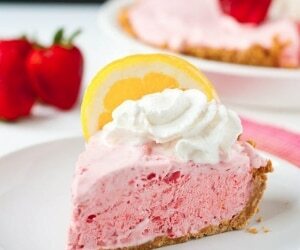 These upcycled projects turn something old into something new, and no one will guess that the finished product was once headed for the trash. 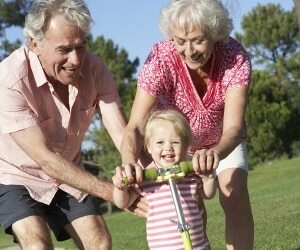 You’ll be exercising your creative muscles, doing something kind for the planet, and having a blast throughout.